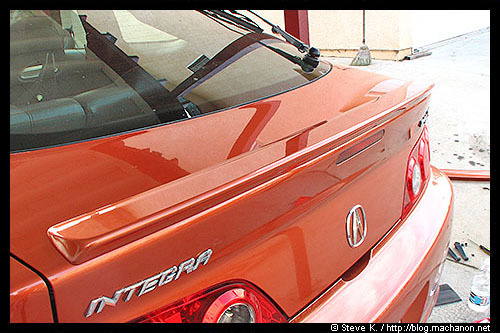 This is an installation guide I wrote back in 2007 on how to install Acura’s A-Spec high wing spoiler (aka Type R spoiler) on your 2005-2006 Acura RSX Type S. Allow 2 – 2.5 hours to complete the installation. This project requires a minimum of two hours and up to three hours for inexperienced do-ityourselfers. Be sure to acquire drill bits that are capable of cutting through sheet metals. Drill bits designed for wood work is HIGHLY not recommended. If you have a partner to work with, you can shave off an additional half hour to complete this project. Be sure to use generous amount of shop towels. When you lay your painted parts on top of these towels, you can avoid having them inadvertently scratched on the ground in which you are working on. 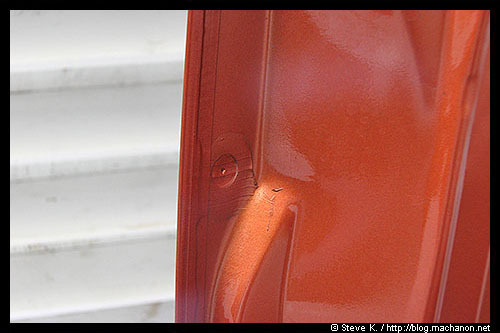 Remember, the prepainted parts scratches and become damaged VERY easily! 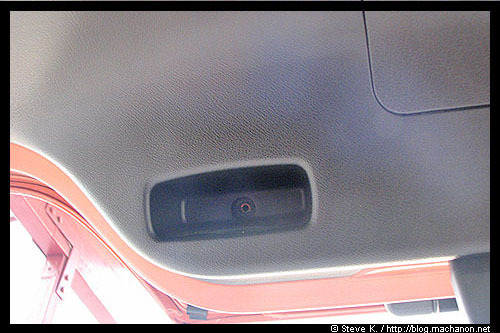 Repeat the procedure to remove the left shelf hook and left tailgate trim. 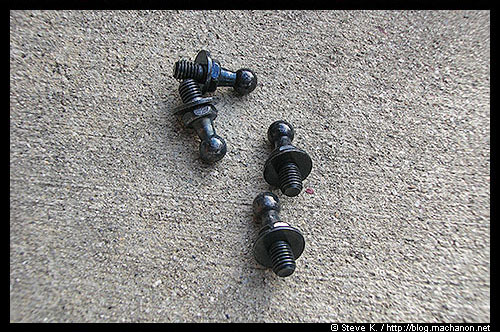 Once the parts are removed, store them in a safe place. You can put them in the back seat of your Acura for the mean time. Gently, but with force, pry the two outer clips outward. 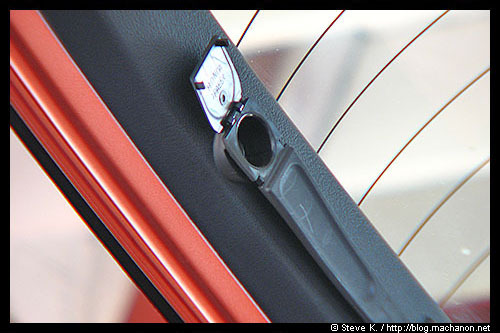 These two clips are closest to the 3rd brake light. 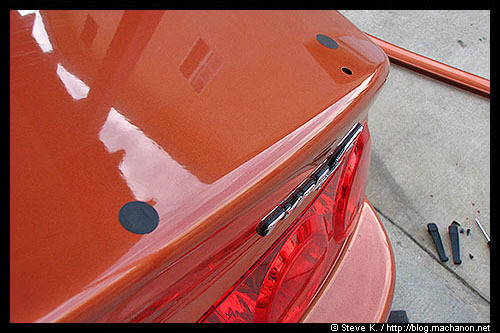 Having them popped out of their place, pull the tailgate lining AWAY from the 3rd brake light. 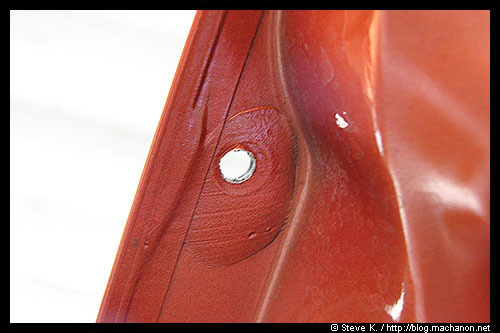 If any of the clips are dislocated from the lining and remains on the vehicle’s body, use a needle nose pliers to pull them out from their socket. 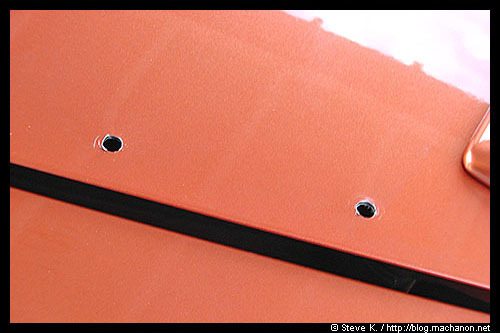 Be sure you seal off the holes where the clips from the stock lip spoiler were attached to. 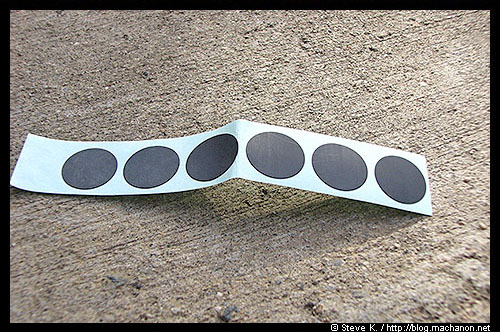 These holes are square/rectangular in shape. 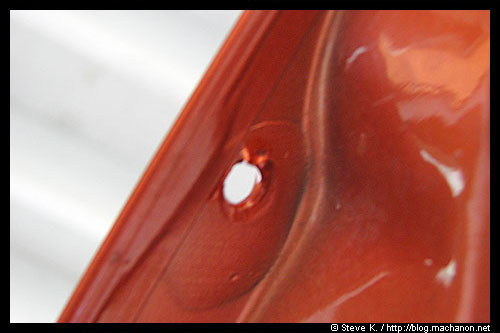 The oval shaped hole is there to mount the new deck lid spoiler. 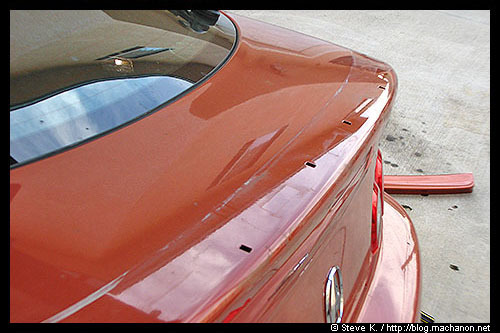 Remove the adhesive backings by pulling them out from the deck lid spoiler, and press the deck lid spoiler firmly with the palm of your hand to adhere. Tighten the two large cap nuts installed in the previous step. 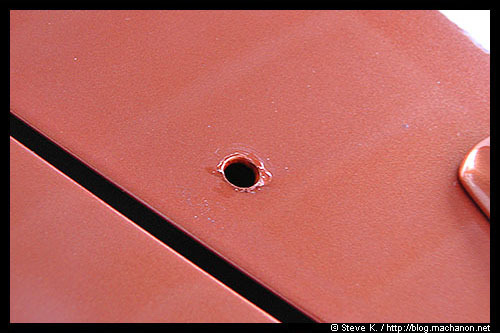 Locate the two identification marks on the hatch. Using a felt-tip pen, mark the center of each hole. Repeat on the other side. Be absolutely sure that you’ve marked the absolute center of each identification marks before you center punch each mark! The marks are precise from the factory and if you mispunch the marks, they will not be able to properly accept the high wing spoiler. You only have one shot at doing this correctly! If you do not have a center punch, you may simply use a Philips head screw driver instead (which is what I used). 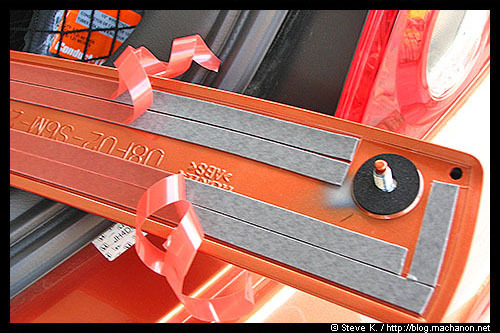 Also, to prevent metal shavings from falling onto the trunk floor, place a cover over the trunk floor. Vacuum as necessary. Surprisingly, the drilling part of this project is the quickest and EASIEST. Using isopropyl alcohol again, thoroughly clean the area where the rear wing spoiler will be attached. 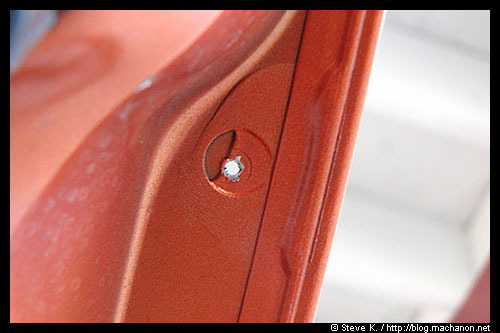 Remove the adhesive from the bases of the rear wing spoiler. 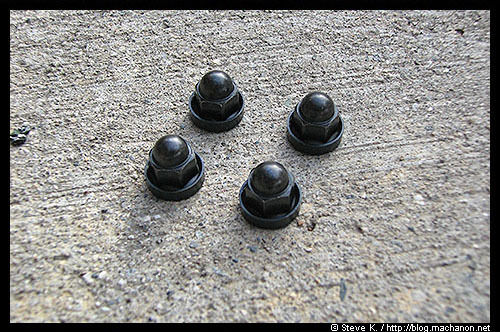 Do not tighten the caps just yet. Check that the rear wing spoiler is positioned equally on both sides, then torque the cap nuts to 8.8 N-m (0.9 kgf-m, 6.5r lbf-ft). The hard part of the project is over. 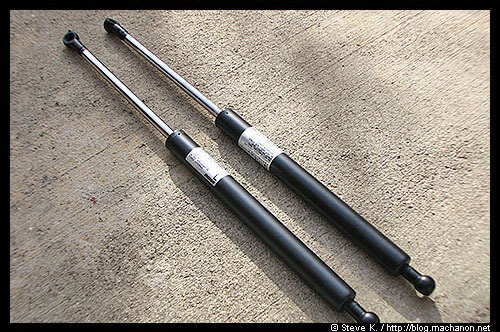 Now we need to replace the hatch struts with the included pair from the spoiler kit. This step is actually crucial. 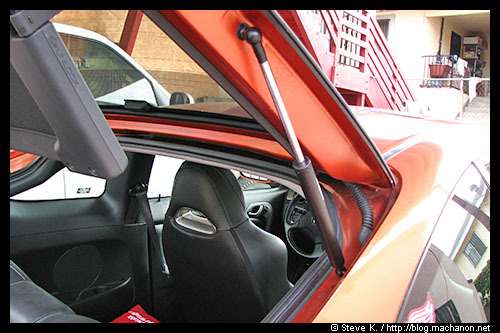 With the new weight added from the high wing spoiler, the old pair of struts does not provide enough force to lift or close the hatch properly. 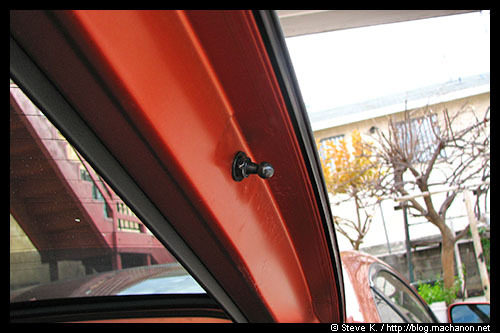 Most people usually disregard this step but the new stronger gas struts prevents you from inadvertently slamming the hatch when you close it and also provides enough power to lift it properly when opening the hatch. You may proceed with these final steps by yourself, or with an assistant. 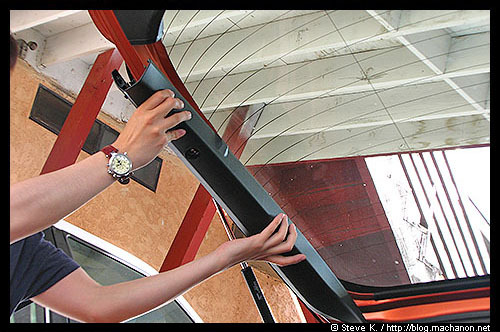 If you are taking these final steps on your own, be sure you have strong arms as you will be lifting the hatch with one arm and bolting the stud bolts with the other! 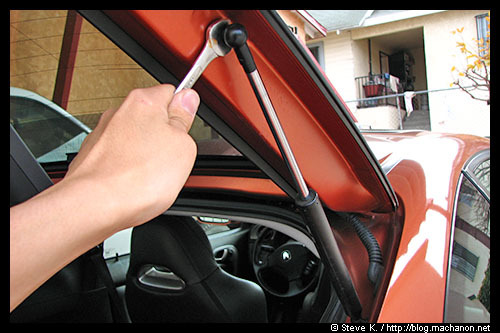 If you do not have a combination wrench, you may use a crescent wrench adjusted to 12mm setting. 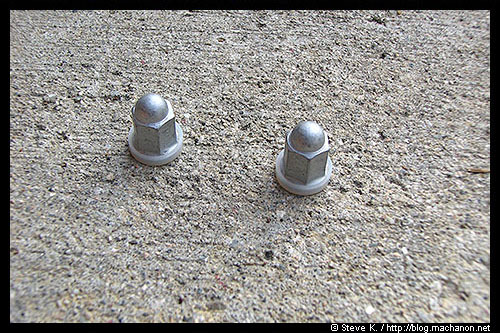 Install the new right support strut on the stud bolts by lightly tapping on the ball ends with a rubber mallet. 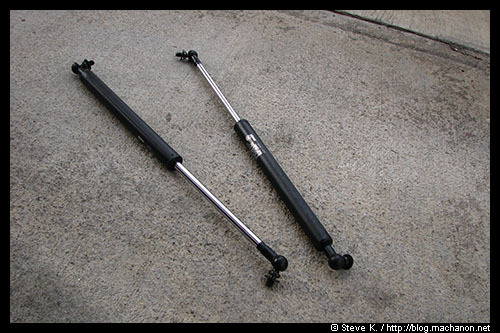 BE SURE YOU DO NOT INSTALL THE STRUTS UPSIDE DOWN BY MISTAKE!!! 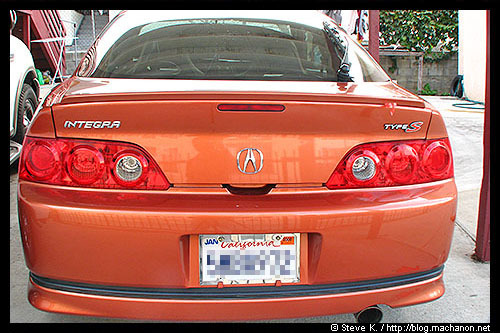 Hi Leo, the shorty deck lid spoiler was supplied with the high wing spoiler kit by Acura. It wasn’t available separately. Where do you purchase those seals? They came with the spoiler kit from Acura. Hi, I missed the point at which you reinstalled the tailgate lining. I’m assuming that you did because by the end the shelf is back on. 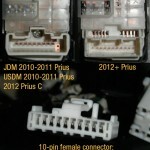 Re-installation is basically the reversal of the removal process. 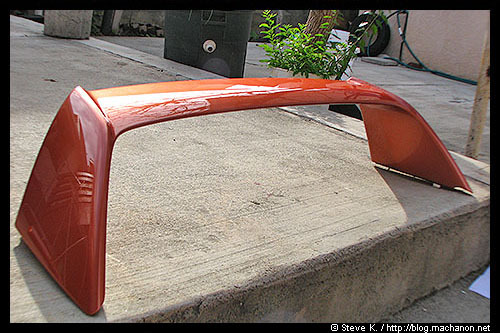 I was wondering where you got that spoiler cause i am also looking for an orange one but can’t seem to find it? 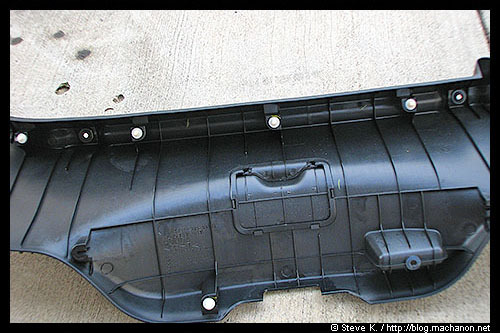 If you’re looking for the OEM wing by Acura, they’re no longer available. 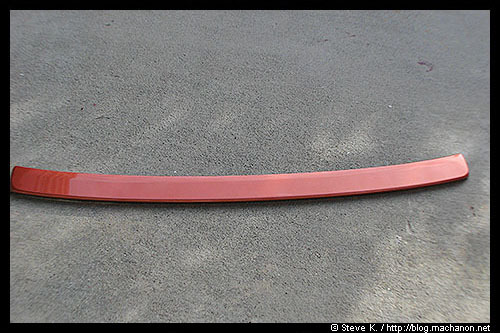 You can find plenty of replicas (search for “Type R RSX spoiler”) on eBay and then have it color matched. 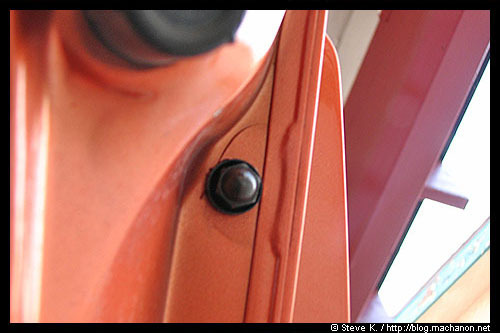 The paint is actually “Blaze Orange Metallic,” a factory color paint available only for the 2005-2006 RSX Type S models. 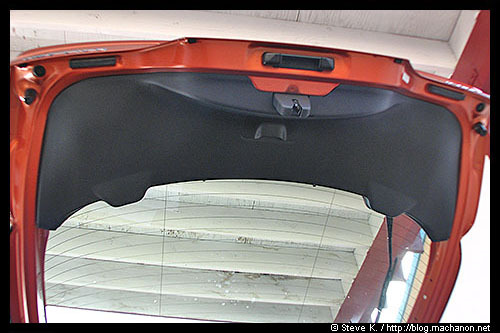 The mini decklid was included with the high spoiler wing from Acura, it’s no longer available since the RSX has been discontinued. 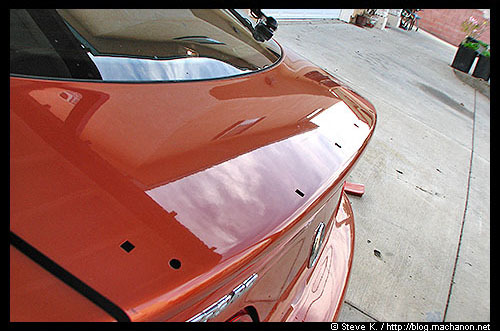 Where do you get the shorten decklid at? 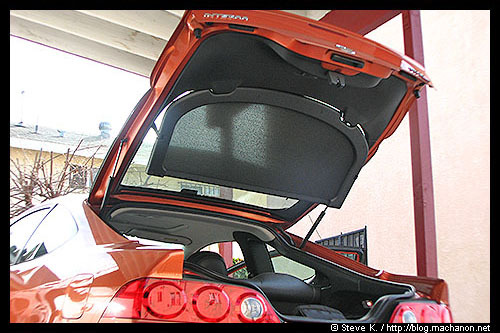 It is included in the official Acura high wing package. I don’t believe it’s sold separately. You can always search eBay for aftermarket kits. 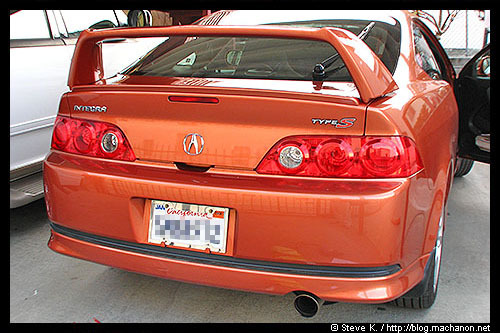 As for genuine OEM Acura wings, they may have been discontinued along with the RSX so it’s hard to find these days. Try Del Rey Acura or Honda Acura Planet. 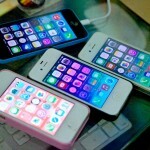 Excellent tutorial and photos. I'll be installing mine this week some time. Thanks!